HARRISBURG, Pa. -- Pennsylvania is poised to set a policy exempting police audio and video recordings from its public-records law and giving police departments broad discretion over when to refuse requests from people for copies of them. Democratic Gov. Tom Wolf said he would sign a bill that cleared its last legislative hurdle Tuesday, passing the Senate without debate, 49-1. The bill covers all audio and video recordings by officers, including those from body cameras and dashboard cameras. Law enforcement organizations support the bill, which also clears legal hurdles for police departments to expand the use of body cameras. The bill was opposed by the American Civil Liberties Union, which says it will be nearly impossible for the public to obtain police video. A Wolf administration spokesman said Tuesday that the governor would prefer a law that allows more transparency in the release of police video, but that he believed the bill is a good first step toward encouraging police departments to use body cameras to increase accountability without concerns over violating state law. The bill would add Pennsylvania to a growing list of states that are setting statewide policy over the collection of audio and video by officers. Every state allows certain exemptions to deny the public release of a video, according to information assembled by the Reporters Committee for the Freedom of the Press, although some states give the video the presumption of a public record. Under Pennsylvania's bill, it would be grounds for a denial of a request for a recording if a police department or prosecutor's office decides it cannot remove or obscure the identity of a confidential informant or victim or evidence in a criminal investigation or an administrative investigation. A court could still order the release of a police recording if a request is denied by a law enforcement agency. The bill sets limits on requests, providing a window of 60 days after an incident in which to submit a request for a copy of an officer's audio or video recording, and it would prevent public access to recordings made inside a law enforcement facility, such as a police department. The bill does not address when a police camera must be turned on and how long data must be stored before it is erased, although it tasks the state police with writing guidelines for the storage of the recordings. 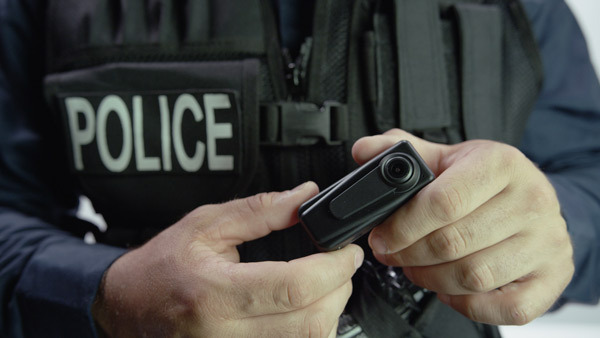 The use of body cameras is limited in Pennsylvania, with law enforcement organizations unable to name more than a few departments that use them. The state police do not use body cameras, while departments in the state's two largest cities, Philadelphia and Pittsburgh, use body cameras on a limited basis. The bill aims to remove a couple of legal hurdles that police departments have cited as potential problems. It clarifies that officers can gather body camera footage inside a private residence while on duty, an effort to address concerns about violating the state's surveillance law, and it makes clear that uniformed officers can legally record any conversation while using a state police-approved device in public.